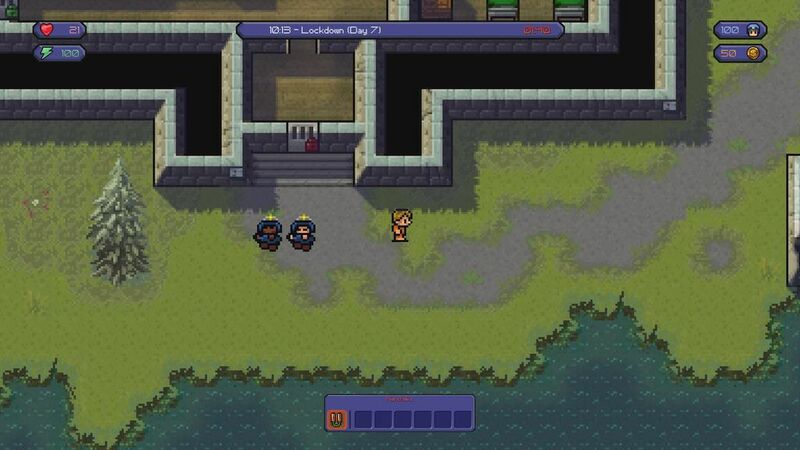 The Escapists is one of our favorite indie games of the beginning of 2015. 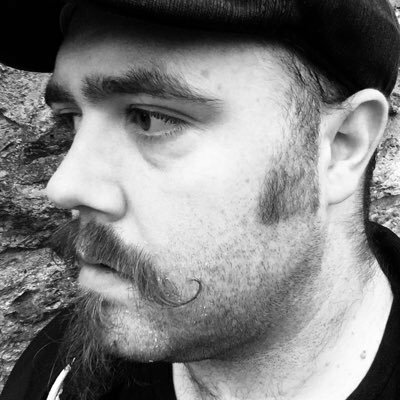 As we are lucky, Chris Davis hasnn't escaped when we had the opportunity to ask him some questions about his game. "Giving it a script would change the genre and flavor of the game." 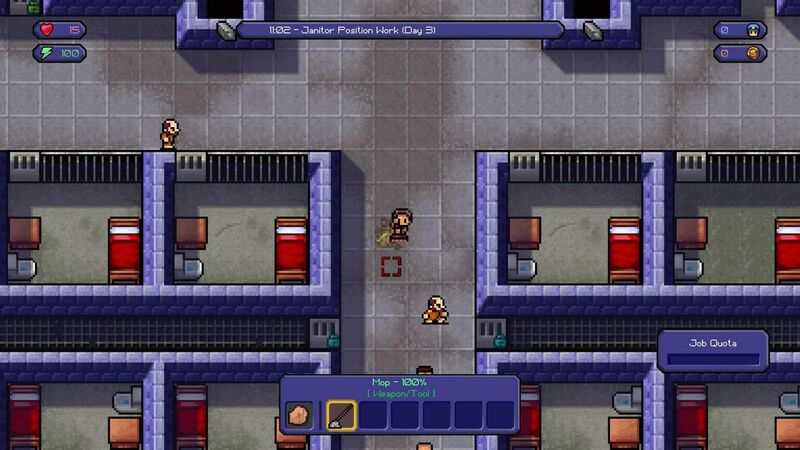 Chris DavisHey, I'm Chris Davis aka Mouldy Toof Studios, the developer of The Escapists. 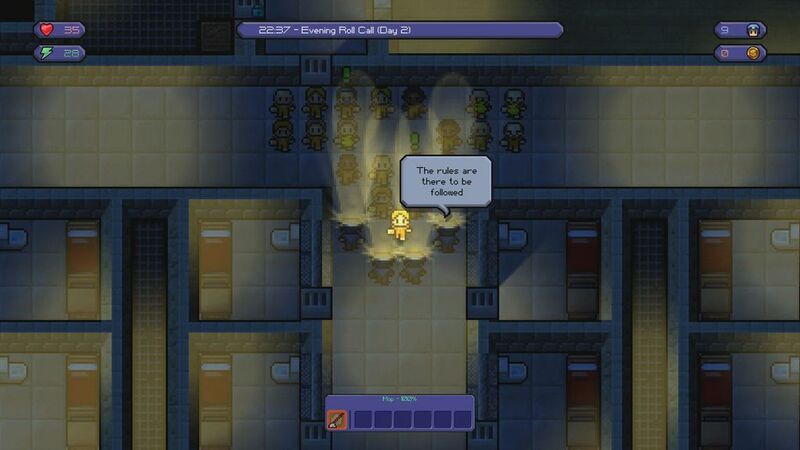 How and when did you get the idea to make a game like The Escapists? C.D.Couple of things sparked it really. 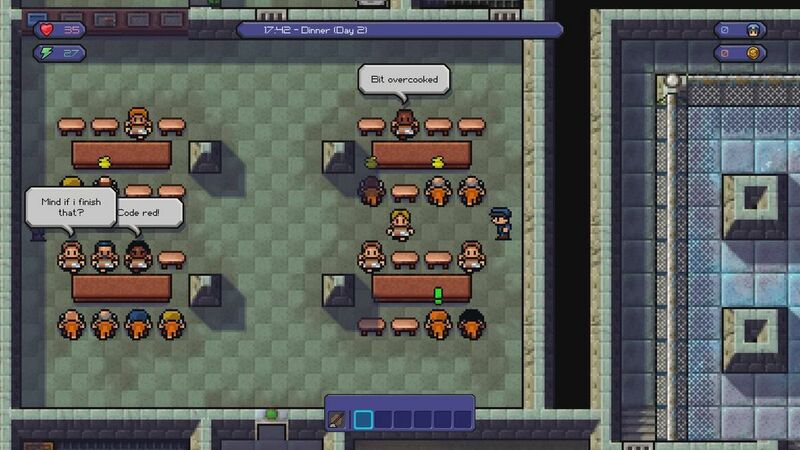 I think I was watching a prison show at the time and thought “why has this never properly been done in a game?”. There was also a game on the ZX Spectrum I used to play as a kid called Skool Daze. Although it wasn't set in a prison, it had a similar style of following routines and evading trouble in a sandbox enviroment. 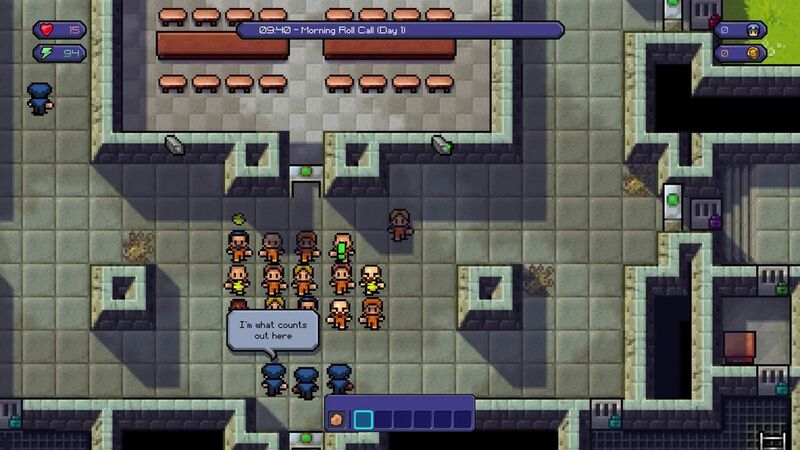 Why is there no script in The Escapists? Is it an artistic choice? C.D.Giving it a script would change the genre and flavor of the game. I wanted it open to allow more randomness. Could decide how to get out, rather than being story driven and on a set path. Nowadays, entertainment is king. 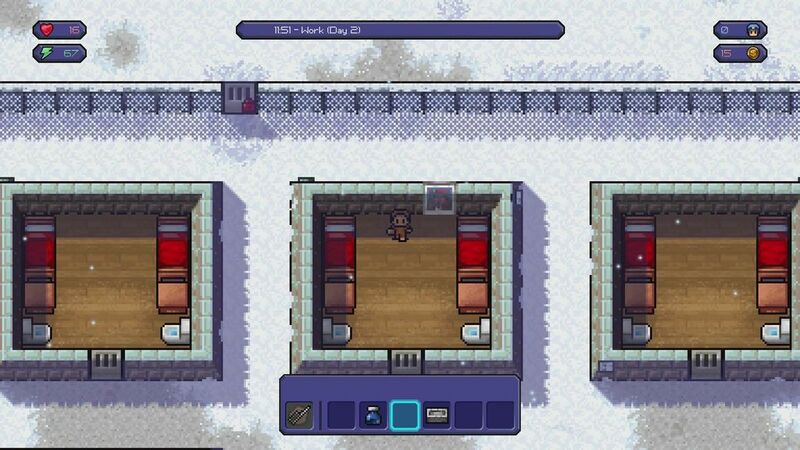 Did you hesitate when incorporating boring and routine aspects in The Escapists? C.D.A prison without the boring routine aspects wouldn't be a prison. I guess it's about adding ways to use them to the players favour. 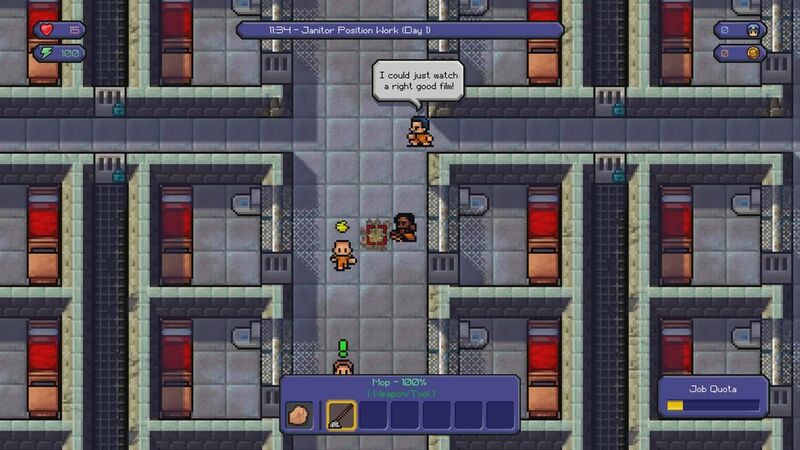 As an example, a new player might just think during lunch they have to just grab a tray and sit there until the clock ticks over, but really it's a good chance to talk to inmates to raise rep, or scout out merchant wares or available favours. "Everyone has different styles of game they like to play." Does it make you sad when some people don't understand the importance of this kind of concept in a video game? C.D.It doesn't make me sad no, everyone has different styles of game they like to play (including me) and I respect that. The audience that the finished game appealed to was completely different to the ones I imagined it would. Some people have criticized the PC version, saying it was inferior (aesthetically) compared to the Xbox One version. Do you understand why this is and can you explain it? 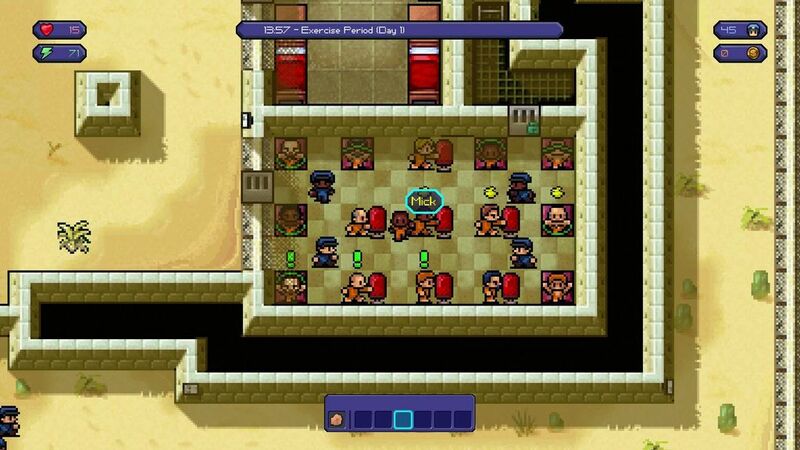 C.D.I developed the original PC version, and Team17 started work on the Xbox One version midway through development. They upped the resolution in theirs because the low res pixel style of the original didn't port too well to big TVs. Also the HUD was rearranged to suit the new control scheme. While there are some who prefer the Xbox visuals, it's not everyone. Both sides have been pretty vocal on their opinion. 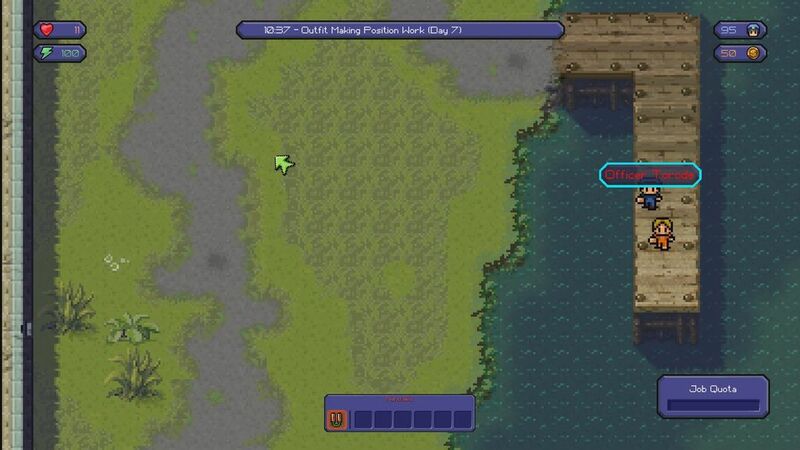 PC version has it's own exclusive perks as well such as the map editor and steamworks community. 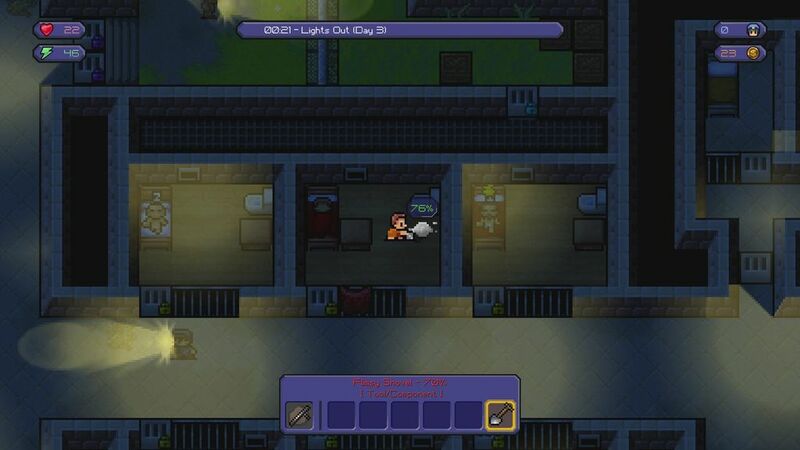 "However I put The Escapists on and it passed in about 48 hours. I was stunned." Have you thought about including a multiplayer mode in the game ? Do you have an idea of what it could had been? C.D.It has been mentioned a lot, and I would really like to do it. I did say on the Kickstarter that I'd look into what was possible using the engine it's based on. Just some kind of co-op mode would be fun, where you could work with a couple of friends to form and execute an escape plan. Do you have an interesting or fun story you can tell us about the game's development? C.D.Hmm, let me think... Well the speed it got through Greenlight was pretty interesting. It was back when Steam had a long process of only letting so many games onto its service per month based on votes and popularity. My previous game had been on there about a year at the time, still collecting votes and waiting to pass through, so I knew it was a long process. 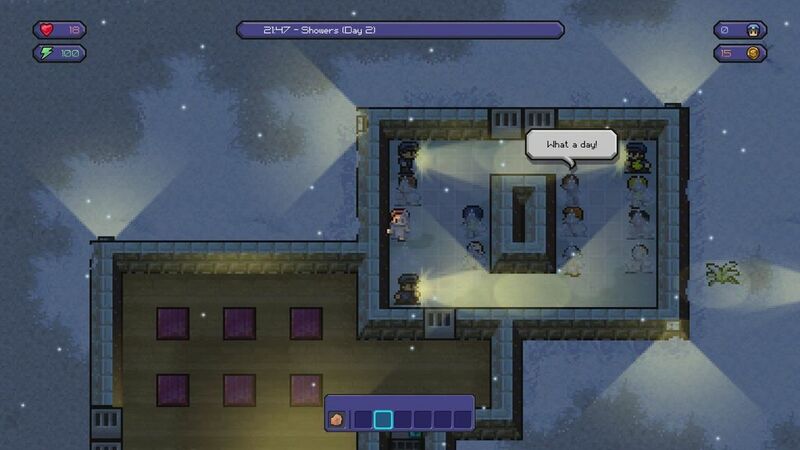 However I put The Escapists on and it passed in about 48 hours. I was stunned. 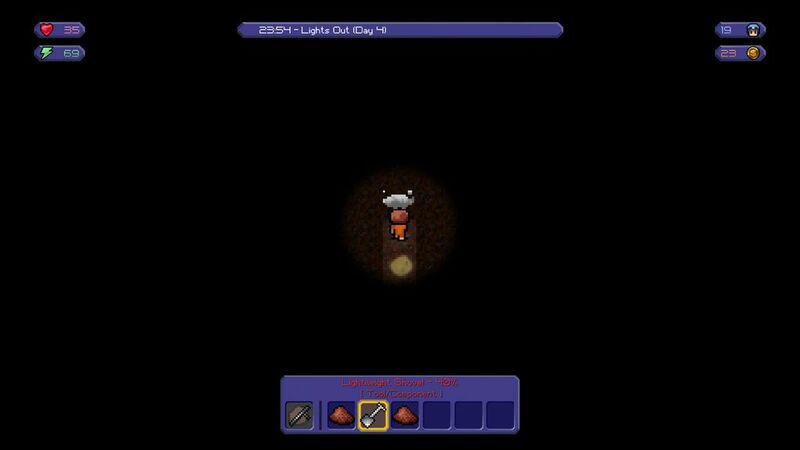 Is there a function that you wanted to include in the game, but that you abandoned during development? C.D.There were a few little ideas that had to go or the game would just never be finished. One was the tower guards having breaks during the day where you'd see them leave the tower and walk to the guard barracks. You'd be able to use these breaks to to advantage, be it knocking out the guard or just escaping while the tower is empty. "I'm just happy making my own (projects), letting the big AAA boys duke it out amongst themselves." Independent games have been popularized since the advent of digitalization. Over the years, we realize that the original games are becoming increasingly rare (even in this market). Do you still think that a lack of money can drive creativity? C.D.I'm not sure, it probably gives someone more drive and willpower to succeed if they lack money. It depends on the person really, some work better under pressure, others don't. It gets harder and harder to come up with original ideas over the years because the market is so saturated, so creating a unique concept and making it work in a game is rare. For several years now, players have often seemed to oppose AAA games and the smaller ones. But does a "small" developer like you aspire to create big games?Or do you prefer to have the “privacy” and “liberty” of independence? C.D.The line between the two is becoming more and more blurred. Eg Minecraft could be classed as an indie game but it's bigger and made more money than many 'AAA' games could dream of. Personally I'm just happy making my own independent projects and letting the big AAA boys duke it out amongst themselves. And to finish, which games did you like recently? C.D.I'm still yet to catch up on my backlog, but looking forward to playing more of Xenoblade Chronicles 3D and Majora's Mask 3D on my 3ds. I often like to dabble with my older systems as well- Megadrive, Nintendo 64, Dreamcast etc.. Spoilt for choice.